The first few times that Emilie Halle rolled up to the U.S. border going from Windsor to Detroit, there were a lot of questions waiting for her. “When I’d tell them I was going to a football practice, first they’d usually ask me if I was playing soccer. Then they’d think I was playing lingerie football, which is unfortunate,” she explained. After they’d ask if she was paid to play — which would require a visa — they’d ask her to pop the trunk of her car open to see if she had equipment. Going into her fifth season as a tailback for the Detroit Dark Angels in the Women’s Football Alliance, Halle has developed a good relationship with the folks at the border. She’s crossing it frequently for training starting in January, then three to four times a week once her season gets going in April. The uniformed figures at the border are now a familiar part of that journey. Also a sessional instructor at the University of Windsor’s kinesiology department, the hours, minutes and seconds of Halle’s days are fully accounted for. She juggles work with football and for fun/supplementary training when she can’t make it to Detroit is at a local Crossfit gym six times a week. 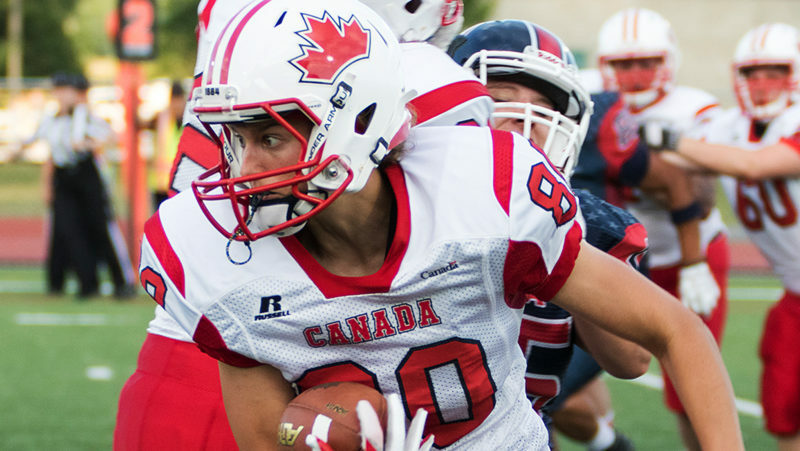 Halle’s situation as a Canadian female football player is unique in that she crosses the border to play the game she loves, but is common in just about every other sense. There are women across the country that have found and fallen for tackle football and are finding ways to balance the commitment the game requires with careers, with family and just the day-to-day demands of life. While the game has grown somewhat for women in Canada over the last 20 years, they still work this intricate juggling act, flying under the radar of the national sports landscape. Saadia Ashraf has been around women’s flag football for around 25 years, she guesses and around tackle football for about 20. A teacher at Lindsay Place High School in Pointe Claire, Que. she’s a pioneer in the women’s game. Her career started in 2000, when she and seven other Montrealers would head to NY state to play for the Rochester Galaxy. In 2001, the Montreal Blitz was born, playing in the Independent Women’s Football League. Ashraf, the team’s quarterback, watched the game begin to grow locally. “It’s interesting because at that point I was just a player,” she said. “I was paying my fees, I was playing and leaving and not thinking about anything else. In 2004, Ashraf bought the team. She had a vision for what she wanted the team to look like and worked hard to get it there. It wasn’t an easy journey but she watched the numbers grow around her, in terms of player participation and of coaches helping the team improve. She remembers an especially tough 2004 season, but within a few years, the Blitz were winning championships and producing players for Canada’s national team, herself included. She quarterbacked Canada at two world championships. She transferred ownership of the team to a non-profit group in 2015 and now coaches the Blitz, while serving as QBs coach for Team Canada. “I just wanted women to continue playing tackle team football. It’s the ultimate team sport in my mind,” she said. “There are so many different things that can happen on the field, so many different things that you have to think about. So many different women can play. This (game) is amazing. 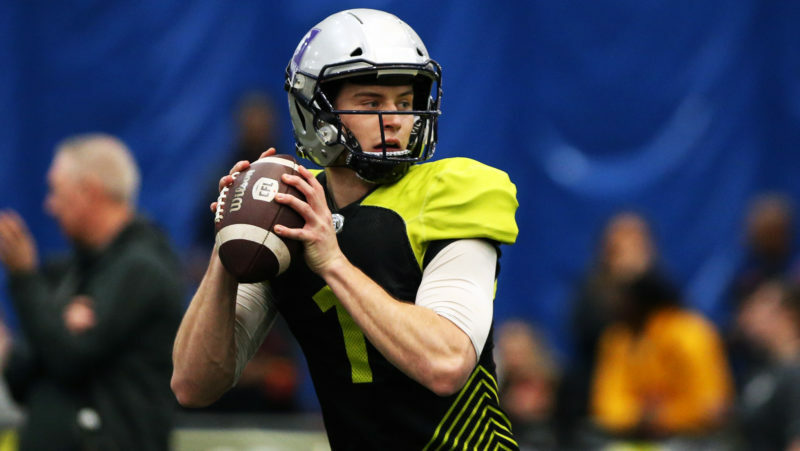 There’s a line of thinking that echoes what CFL commissioner Randy Ambrosie always says about football, that it’s a game that’s built for anybody, any body type. That resonates with all of the players interviewed for this story. 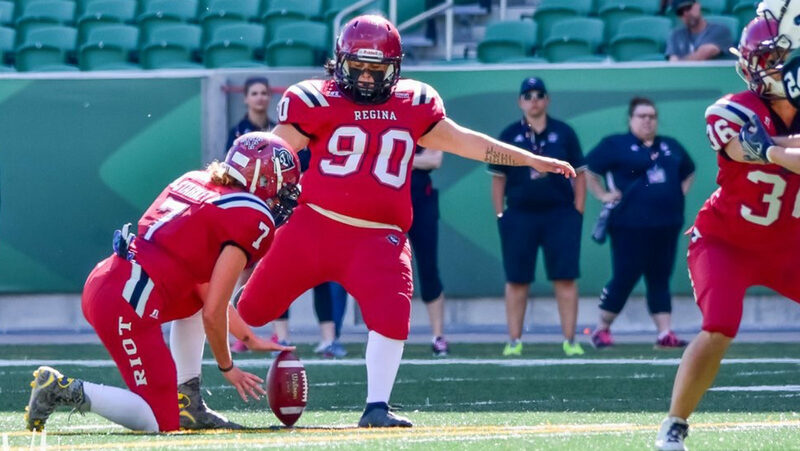 “I think the biggest thing with female football right now is it’s a very inclusive sport in the sense of body types,” said Tanya Henderson, a personal trainer and seven-year member of the Edmonton Storm, as well as a Team Canada member. Henderson, 28, is heading down a similar path to that of Ashraf, taking her passion for the game into coaching. She’s an assistant coach at St. Francis Xavier High School in Edmonton and is coaching a couple of provincial flag teams (boys and girls) this summer. 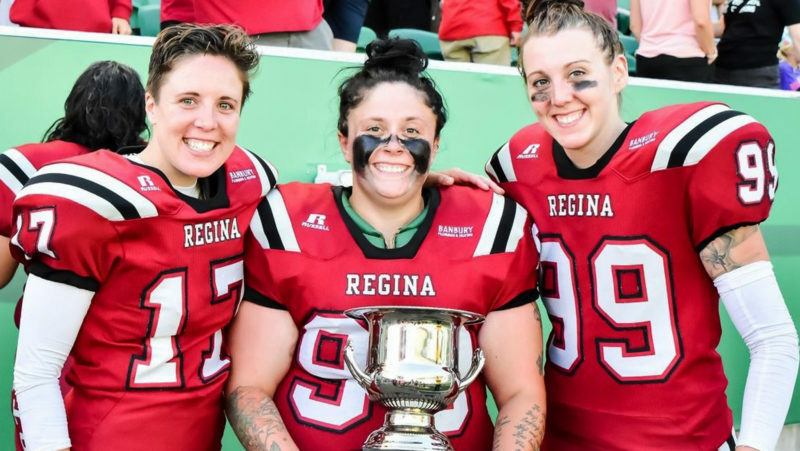 She’s also helped start a midget-age women’s football league in Edmonton — the first of its kind — and is one of the coaches of the West Edmonton Raiders. The league starts on April 5. “We have four very solid teams with very solid athletes,” Henderson said. “I’m really excited to see where that goes. We’ve had nothing but positive feedback. “We ran a joint camp with the all of the teams. We did two camps, one in no equipment and one with equipment. Seeing the girls the first time in no equipment was pretty magical but to see them walk out that second day in their shoulder pads and helmets…I can’t even explain it. I was speechless. It was so cool. Henderson and many other current players see progress and hope that this new generation of players won’t have quite the balancing act, or have to go to the lengths that they’ve had to in order to continue playing. Morgan Turner, a kicker that also plays defensive line for the Regina Riot, runs two businesses and is about to open a third: Regina’s first rage room, where customers can let their stresses out through demolishing inanimate objects. She practices with the Riot five days a week and plays a game on the sixth. She also has a six-year-old daughter, Peyton Turner. “It’s busy but you make it work,” she said. “Honestly, my daughter has been to everything you can imagine Riot-involved. She also notices the impact that even just being around the team has had on her Peyton. “She absolutely loves the Riot and seeing all the women be strong and seeing all these different types of women,” Turner said. “We’ve got nurses and police officers and teachers and entrepreneurs and everything under the sun and she gets to see all these strong women be that way. She says Peyton recently did a deadlift the other day of 62 pounds. 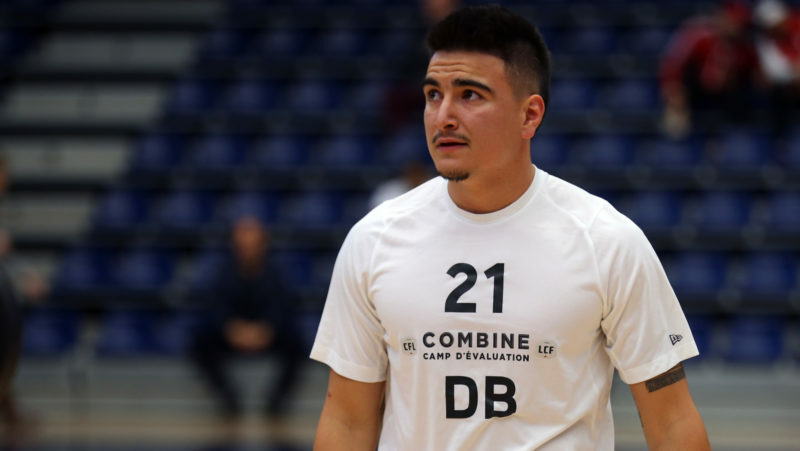 The support system that Turner sees in Saskatchewan, with players’ kids playing together during practices and mothers helping each other out however they can, stretches across the country. “We haven’t had too many Blitz babies,” Ashraf said. “We’ve had a couple and we’ve seen them grow. In the end, for all of these players, it’s been worth it. The sacrifices, the fundraising, a smattering of bumps, bruises, even some horrific-sounding bone breaks that would signal the immediate end of a career for many, are outweighed by life-altering experiences coming from setting foot on the football field for the first time. The girl that got Turner into football with the Riot became her best friend; she was the maid of honour at her wedding. Whether they play in the maritimes, in Montreal or on the prairies, they all want to grow the game and truly expand it across the country. Toronto took a step forward in that regard on Friday, announcing that the creation of the Toronto Misfits. This pairs with an Ontario women’s provincial team combine that will be held on March 30 in Guelph. There’s still a need for growth nationally, though. Vancouver hosted the 2017 women’s tackle football world championship, but there isn’t a women’s tackle team in the city. 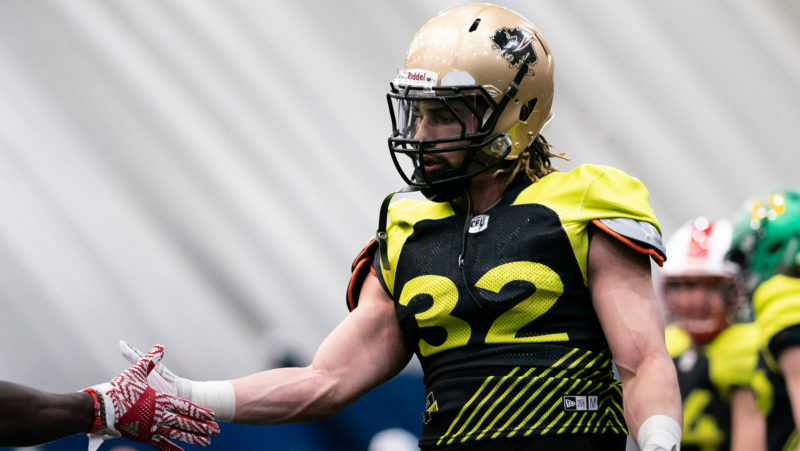 Laurence Pontbriand, a former Blitz receiver, a member of Team Canada and the coordinator for football operations at the CFL, dreams of a women’s CFL. 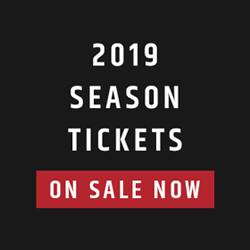 To get there, they’ll eventually have to fill in the blank spaces in cities like Vancouver, while feeding the grassroots game in the other cities where it’s just starting to grow. “I’d love to see a women’s full CFL, or even more leagues popping up, more teams,” Turner said. “Two of the best teams in Canada are sitting in Saskatchewan right now. I’d love to see some of the bigger provinces putting out more teams. It’s a slow climb, but Ashraf sees progress in everything from the time she took ownership of the Blitz through to today. “I hate the fact that we’re still not well known, but we’re better than we were before,” she said. “I’ll be honest, I’m still a little financially (hurting). Now that I’ve kind of stepped back a bit, I’m still paying back some of the debt but it was worth it, I’d do it again. Maybe I’d do it differently from the business part but I’d do it again, absolutely.